True teas are made from the leaves of the Camellia sinensis plant, which is native to Asia. As one might expect, tea drinking originated in Asia (primarily China), where it later spread to Europe due to trade. 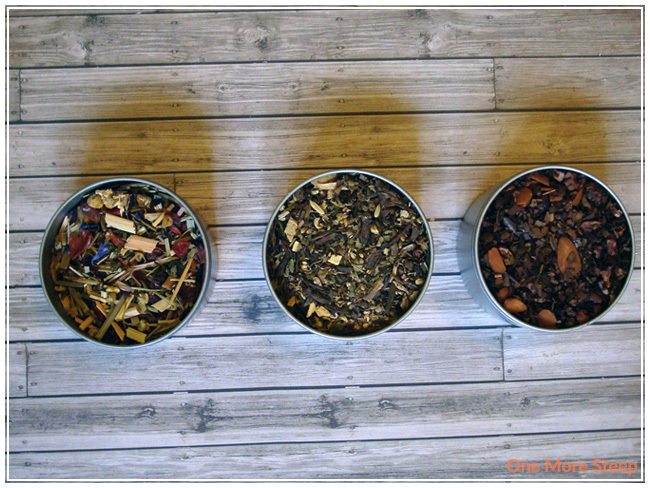 The different types of tea are produced with a variety of processing methods. Tea leaves are primarily either wilted or unwilted, and oxidized or unoxidized. If you were the pick the leaves off of the C. sinensis plant, it begins to wilt and oxidize unless you do something about it. Basically, wilt vs. unwilted depends on how much time passes between when the tea is picked and when it is processed. Oxidization is stopped when heat has been applied to the tea leaves. White, yellow, green, oolong, pu’erh, and black teas – despite tasting different, they all start off the same. Rooibos teas, despite being delicious, are not true teas at all. They had made from the rooibos plant, Aspalathus linearis, a plant from South Africa. Rooibos is often referred to as bush tea or redbush tea (based on the colour). Rooibos comes in both red and green varieties. If the leaves have been allowed to oxidize, they are a red rooibos, while if the leaves are not allowed to oxidize, they are a green rooibos. Rooibos teas are naturally caffeine free. Herbal teas, or herbal infusions/tisanes, contain no leaves from the C. sinensis plant at all – but they are still delicious. You can find a lot of herbal teas/infusions that have a variety of flowers, fruit, herbs, and spices in them – a lot of them make fantastic iced teas. A lot of different ingredients can be present in herbal infusions, it would be quite impossible to list them all because I’m sure I’d miss something! I primarily drink teas that are produced from leaves of the C. sinensis plant – black, green, white, oolong, and pu’erh teas are all from that the ‘tea plant’. Given the fact that many other drinks are also called ‘teas’ these days, I will be giving them a try as well as I enjoy trying new teas.